Jesus Shrestha (2018-2020) is a Masters by Research Candidate at the University of Technology Sydney in the faculty of Biomedical Engineering. He completed his Bachelor of Medicine and Bachelor of Surgery (MBBS) degree from Kathmandu Medical College, Nepal followed by over 2 years of clinical experience as a Medical doctor. He also worked as an overseas researcher for “Re-sequencing project of 1,000 Southeast Asian Individuals using the 100 Pharmacogene-NGS panel” project. He is currently working under the supervision of Prof. Majid Warkiani and Prof. Dr Maliheh Ghadiri on development of Microfluidic Lung-on-a-Chip models. 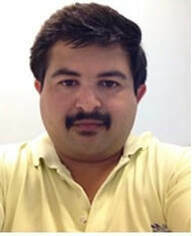 Sajad Razavi Bazaz (2018-2021) is a PhD candidate at University of Technology Sydney (UTS). He received his Bachelor degree in Mechanical Engineering from Ferdowsi University of Mashhad, Iran in 2015. Afterwards, he completed his Master degree at Tehran University, Iran, as a first rank student in Biomedical Engineering in 2017. During his Master thesis, he focused on microfluidic devices, especially their numerical modeling in terms of micromixing, droplet generation, and polymerase chain reaction (PCR); and established a keen interest in modeling in microscales. His Master thesis concerned the formation of a “hybrid” micromixer constituting of different mixing units. As an engineer, he developed an interest in statistical optimization methods and began to apply these to microfluidic devices. Following his passion in microfluidic devices, he joined UTS’ school of Biomedical Engineering under the supervision of Prof. Warkiani. Currently, he is engaged in developing of different “plug-and-play” microfluidic devices via 3D printing methods. Mahsa Asadnia (2018-2021) is a PhD candidate in the school of science and engineering at Macquarie University. She has obtained Bachelor of Science degree in Chemistry from Isfahan University of Technology-Iran and Master of Science degree in Nanotechnology–Nanochemistry from University of Isfahan. She has great experiences on synthesis and characterization of artificial enzymes, nanocompounds, dendrimers and organic materials. She is currently working under the supervision of Dr. Majid Warkiani (UTS), Prof. Mukhopadhyay (MQ), and Dr. Amir Razmjou (UNSW). Her current research interests focus on human Mesenchymal Stem cells, 3D stem cell culture, Microcarriers and Tissue engineering. 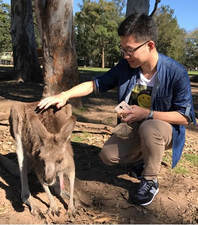 Lin Ding (2018-2021) is a PhD candidate in the School of Biomedical Engineering of the University of Technology Sydney (UTS). He received his B.Sc. degree with honours from the University of Sheffield, England and M.Sc. from UTS in 2018. He now transferred to the Faculty of Engineering and Information Technology to join Dr Warkiani’s group, with co-supervision of Professor Tipper, the School of Biomedical Engineering, UTS and Prof. Vesey, Regenus Ltd. He is working on design and development of novel microfluidic systems for large-scale manufacturing of Stem Cells using SMART micro-carries and also development of new tools for extraction and study of exosomes. Hamidreza Aboulkheyr (2018-2021) is a PhD candidate in School of Biomedical Engineering at UTS. He received his BSc degree in the field of genetics. 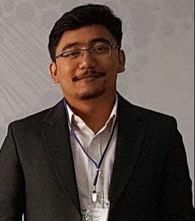 In 2013, he completed his Master degree in Bioscience and Biotechnology with special focus on cancer biology from University Technology Malaysia. Afterwards, in 2014, he joined to one of the top research institute in Iran known as Royan Institute of Stem Cells Biology and Technology as research assistant in the field of cancer genetics and molecular oncology. During the four years’ experience, he has been involved with numerous projects particularly in-vitro tumor modeling and drug screening. Hamidreza has interest in molecular and cellular biology of lung cancer, lung tumor microenvironment, tumor-on-chip, and cancer immunotherapy and targeted therapy. In his current research project, he involves assessment of epigenetic modifications in transformation of non-small cell lung cancer to small cell lung cancer in addition to modeling NSCLC transformation and drug screening of resistance lung cancer cells against immunotherapy agents in a novel microfluidic system. 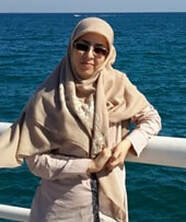 Maryam Alsadat Rad (2018-2021) ​is a PhD candidate at University of Technology Sydney (UTS). In 2014, she received her fist PhD in Solid State Physics from Universiti Sains Malaysia (USM). During her PhD study, she focused on the fabrication of micro- and nano-structures for biomedical application and fabricated PDMS nano-slit for DNA stretching. In addition, she has conducted research on cancer cells in the microfluidic environment. She received both her Bachelor and Master degree in Applied Physics from Islamic Azad University (Tehran branch). After master studies, she joined Institute of Biochemistry and Biophysics (IBB) at Tehran University, which researched on the study on abnormal behavior of long DNA in different electric fields in Agarose gel. 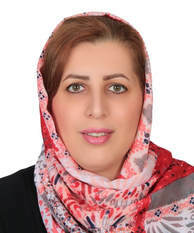 She is currently working under the supervision of Prof. Majid Warkiani on design and fabrication of microfluidic systems for intracellular delivery. 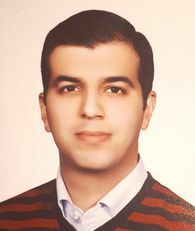 Mohammad Pourhassan (2018-2021) is a graduate of Tabriz Uinversity in Iran. He pursued his post-graduate studies in medical biotechnology where he has worked on the design and development of novel nano-biosensors and molecular diagnostic tools using various techniques. Mohammad has a broad experience in genetic engineering, molecular biology, nanobiomaterial preparation and characterisation. He is currently working under the supervision of Prof. Warkiani and co-supervision of Prof. Jin from University of Technology Sydney (UTS). His main research at UTS is on the cell excretions separation and analysis by novel micro-engineered devices. 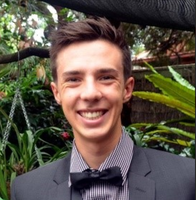 Steven Vasilescu (2019-2022) is a PhD candidate in the School of Biomedical Engineering at UTS. He concluded his undergraduate study at UTS in 2018 with a Bachelor of Mechanical Engineering and a Bachelor of Biotechnology. Steven has been heavily involved in the development of nanomaterials for medical diagnostics within the Institute of Biomedical Materials and Devices (IBMD) at UTS for the past three years. Steven is currently tackling infertility issues through the development of microfluidic assisted reproductive technologies. Under the supervision of Associate Professor Majid Ebrahimi Warkiani, Steven aims to create safer and more reliable treatment options for couples undergoing fertility treatments. 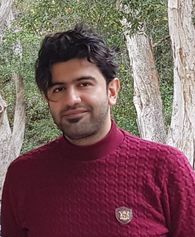 Meysam Rezaeishahmirzadi (2016-2019) is a PhD candidate in the school of Engineering - FII at University of South Australia (UNISA). He received his Bachelor's degree in Medical Laboratory of Science from Iran University of Medical Science (IUMS) in 2008.He graduated from Hormozgan University of Medical Science (HUMS) with a Master degree in Human Genetics at 2014. 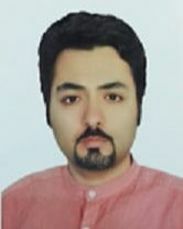 He has two accepted articles in Hormozgan Medical Journal (HMJ), a presentation & poster in International congress in Mashhad, Iran 2014 and two other papers proceeding.He has more than 6 years of professional experience in clinical, pathological and Genetic sciences consist of Molecular Biology& Molecular Genetic Techniques. He has been working as genetic counselor assistant for prenatal & premarital genetic counseling for 3 years.He was Executive Director of the Conference of HPV and cervical cancer, screening tests for fetal and prenatal genetic tests in 19th January 2015.For PhD he could win the University of South Australia President’s Scholarship (UPS) and School of Engineering - FII scholarship.As a PhD project he is studying and working on a new technology to isolate fetal cells in maternal blood for non-invasive prenatal diagnostic under the supervision of A/Prof. Benjamin Thierry (UNISA) and Dr. Majid Ebrahimi Warkiani (UTS). 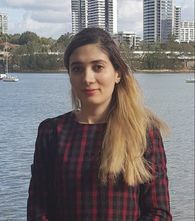 Mona Tarek Elsemary (2017-2020) is a PhD candidate at the University of South Australia. She received a Bachelor of Pharmacy and a Master in Microbiology and Immunology at Cairo University/Egypt. She also got another Master in Pharmaceutical Biotechnology at King Saud University/ Saudi Arabia. She later worked in Nanotechnology Research at the American University in Cairo/Egypt. She co-published two papers and a book. She is currently working under the supervision of Prof. Benjamin Theirry, Prof. Majid Warkiani, and Associate Prof. Louis Smith in the field of Microfluidic Manufacturing of Chimeric Antigen Receptor T cells in the therapy of cancers. 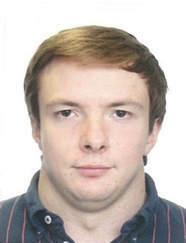 Alexey Rzhevskiy (2018-2021) is a medical doctor (MD) graduated from Sechenov University in Moscow in 2015. Then, he moved to Australia to undertake a master degree at Griffith University, investigating microneedles as a technique for drug delivery enhancement in diverse organs and tissues. In March 2018, he started his PhD program at the Macquarie University in the Centre for Nanoscale and Biophotonics. His current research interests are mainly related to the investigation of targeted drug delivery techniques, particularly microneedles, cancer treatment and diagnostics, and broad scope of investigations in the field of urology. He is currently working under supervision of Professor Andrei Zvyagin (MQ) and Dr Majid Ebrahimi Warkiani (UTS). 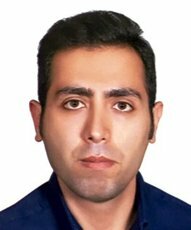 Mohammadamin Raoufi is a PhD candidate of Mechanical Engineering at Ferdowsi University of Mashhad and Macquarie university (Cotutelle Program). He received his Bachelor degree in Mechanical Engineering from Shahrood University and a Master degree in Energy Conversion from Ferdowsi University of Mashhad, which is the largest and oldest university across the east of Iran. He has a great interest and passion in the field of cardiovascular diseases and Nano/Micro technology. Currently he is working on the mechanism of particle/cell focusing within non-Newtonian fluids using microfluidic systems, mimicking the condition of blood flow within arteries. Shohreh Azadi is a PhD candidate at AmirKabir University of technology (Tehran Polytechnic/ Iran). She received both her Bachelor and Master degree in Biomedical Engineering at Tehran Polytechnic. During her study, she joined Pasteur Institute and Stem cell research center in Tehran/Iran and worked on cancer cell mechanics. She is currently working as a visiting student under the supervision of Prof. Majid Warkiani. Her current research involves mechanical behavior of cancer cells and their migration and invasion ability using 3D microfluidic systems. 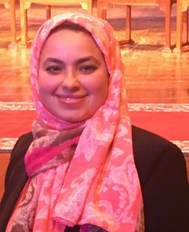 Fatemeh Ezheian is a PhD candidate in Nano-biotechnology in the factuality of advanced science and technology at University of Isfahan, Iran. She obtained her Bachelor of Science degree in biology from Bualisina University, Iran. She got her master degree from University of Tehran, Iran, in cellular and molecular biology, in 2008. From 2010, she has been a member of the stem cell laboratory at the Royan Institute for biotechnology, Isfahan-Iran. At UTS, she is planning to design particular geometrical patterned substrates for regulation of MSCs behavior under supervision of A/Prof. Majid Ebrahimi Warkiani and Dr Razmjoo (UNSW).